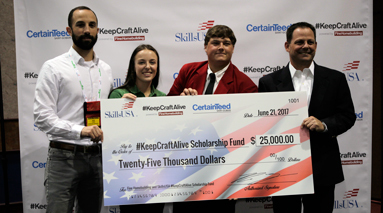 Fine Homebuilding, in partnership with SkillsUSA, has established a scholarship fund for at least twenty scholarships ($100K total) to be used towards any continuing education opportunity in the building trades, including, community colleges, undergraduate programs, and certifications. Fine Homebuilding will host an exclusive award event for scholarship winners at the Skills USA annual conference in June 2019. 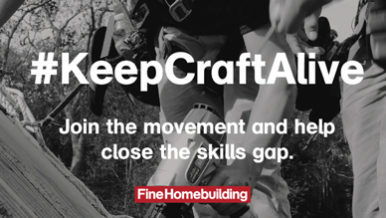 Sponsors of Fine Homebuilding’s Keep Craft Alive program, along with FHB’s brand ambassadors, will be able to attend and participate in the June awards event. For more information on how your brand can get involved with the Keep Craft Alive initiative, contact Noelle Kennedy at 800-309-8953 or email us at fhads@taunton.com. To visit the Keep Craft Alive website, click here.